St. Patrick’s Day with The Royal Spuds + support The Flask! Irish Beer & Whiskey Specials all night long! Luck of the Irish! GREEN! Irish Whiskey! BEER! 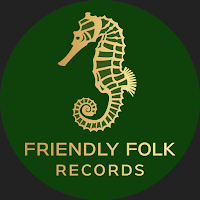 Demo-drop: Friendly Folk Records represents all genres of Folk music. We have several Celtic Folk Rock bands on our record label, but there is room for more! We are also interested in Folk Singer-Songwriters to warm up the crowd. Would you like to join our ever growing Friendly Folk Family? If so, send sample of your music to: friendlyfolkrecords@gmail.com. Winner of folk competition was The Flask, Celtic Folk Rock band from Delft. They will receive x1-year free membership at My Music Matters-MT (€180 value), and they will open the evening as support act to The Royal Spuds. You can't have a truly IRISH celebration without a wee drop of the drink! Musicon will offer Irish specialty drink card for €15.